Two dangerous drugs are gaining in popularity according to health and law enforcement officials in Florida. Users of the drugs, known commonly as “Flakka” and “N-bomb” are showing up more and more in emergency rooms in critical condition. The problem for law enforcement is that both of these dangerous drugs fall into a class of drugs known as synthetic or designer drugs in which a controlled substance or illegal drug is chemically changed. Altering these drugs is relatively easy and cheap and the result is that they retain most, if not more, of their psychoactive power but, because of their changed chemical structure, they’re no longer classified as illegal drugs. Law enforcement officials are powerless to do anything until state legislatures or the federal government can act to add the drugs to the list of illegal substances. Once they’re added to the list, drug dealers can simply perform another chemical modification and they’re back in business. 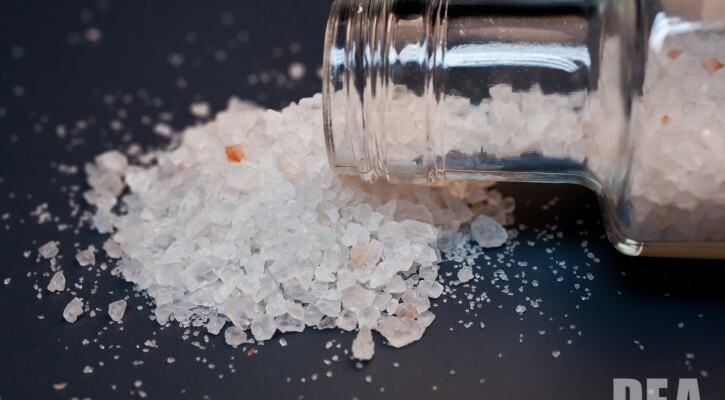 Flakka belongs to the same class of chemicals known as cathinones used in bath salts. According to health experts, there were a total of 126 reported deaths tied to synthetic cathinone in Florida in 2013. Flakka creates a hallucinogenic effect described by health experts as “excited delirium.” It produces a psychotic effect and leads to paranoia in which the user feels he or she is being chased and they’ll do anything to escape their pursuers. Users can suffer from hypothermia causing their body temperatures to rise to as much as 105 degrees. Due to the high body temperatures, users are often found stripped down or even naked in the street. The drug also gives the user an almost superhuman strength requiring as many as five police officers to restrain them. In severe cases, the drug can also cause muscle tissues to decompose and flow into the bloodstream. If that happens, it can lead to kidney and heart failure. Flakka looks like its cousin bath salts; basically similar in appearance to epsom salts or rock salt. The drug can be swallowed, inhaled or injected. As the drug wears off, it creates a severe depression effect causing users to take more of the drug to put them back in their former euphoric state of mind. N-bomb is referred to as a legal or “natural” LSD and is responsible for at least 17 deaths since 2010. This drug has many of the same effects on its users as Flakka including; hallucinations, psychosis, paranoia, and hypothermia. The only way for emergency rooms to treat for the drug is to manage agitation and treat the various symptoms to prevent organ failure. External cooling of the body is also necessary. N-bomb can come in liquid form or sold on blotter paper. In its powder form, it can be sold loose or in capsules. It can be inhaled, injected, or absorbed through the lining of any body opening. These dangerous drugs are very cheap to manufacture compared to drugs like meth or cocaine and that low cost is creating an even greater demand for the drugs on the street. According to health experts, both Flakka and N-bomb are highly addictive. Parents need to be aware of the presence of these drugs and be on the lookout for anything that may be similar in appearance to the drugs and for any unusual behavior among their teens.